Don't look now but I think the sun may be on its way back - in which case there's every chance you'll be looking for a nice long drink. Which is why I'm pretty pleased to have been sent a sample of Bacardi Oakheart (thanks guys). It's a spiced rum to celebrate 150 years of Bacardi by, well, asking us to buy more rum I suppose. I'm quite fond of rum in spite of being a bit more of a whisky man myself; the spiced rums I always found a bit of a mystery. Why would you buy a rum if you didn't want it to taste of rum? It's actuallyvery pleasant. Stored in charred oak barrels which lends it an air of vanilla and a bit of smokiness, it's not bad with ice but really comes into its own when it's mixed with something else. Bacardi and Coke drinkers like it a lot; personally I find Coke in most of its forms too cloyingly sweet, but as they say your mileage may vary. £18 for 75cl. A perfectly pleasant finish to the summer holidays. I've been checking my cufflink collection lately and am considering adding something from Corazon Latino. It's a company that sounds Italian but don't be fooled, they're in Wiltshire. They've sent me a pair of the Arion sterling silver model to try out (£95). The unusual thing about these, and I admit I'd normally look at something closer to the £60 mark, is that the backs are silver as well as the front. This means they won't tarnish unevenly and of course they'll respond well to silver cleaner. Which they'll need to; I have a pair of hammered silver cufflinks with a square design from a woman who makes them locally, and keeping them clean is a bit of a pain to be honest. The Corazon Latino cufflinks are good for making an impression - slightly on the large side, more for an evening out than for a business meeting. The detail on the fastener at the back is a nice touch as it means they'll look pretty good from both sides, if anyone happens to be looking. If I'm honest they're a little too big for most of my purposes; if I were buying from this site I'd probably be looking at the Andata design rather than these. 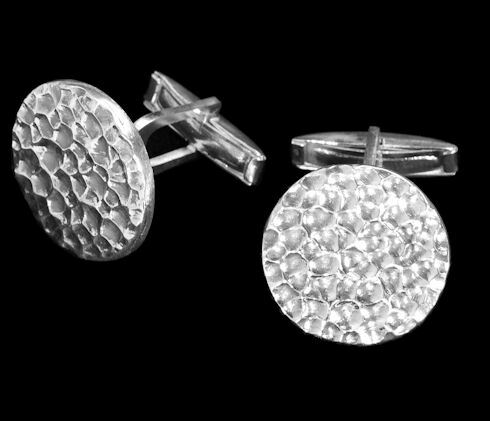 But they're solid, hallmarked and come with a silver cleaning cloth - the site is well worth a look. As I've mentioned a few times I've done a bit of business travel later. This has given me the chance to try a fair few scents passing through the Duty Free shop and I have to say most of this year's crop are overspiced and obersweetened. There are exceptions. I've mentioned Jo Malone stuff before now. Another firm favourite is Terre D'Hermes - citrussy but with a bit of woody depth, and less in-you-face than a previous Hermes I'd enjoyed, Vert (later renamed Orange Vert). £57ish in Duty Free or £75 on the High Street for a fairly modest bottle means this isn't an impulse buy. But it's very good. Sometimes a company does something brave. Apple made the move into music devices and was a spectacular success. Now watch maker Christopher Ward of London, of whom I've written before, is moving into the £2450 bracket with the C900 single pusher chronograph (pictured). It's a lovely looking watch, I'd have to grant, but what interests me is that the organisation behind it has sold so much on value before. It was never a question of being a manufacturer of cheapies, you understand. 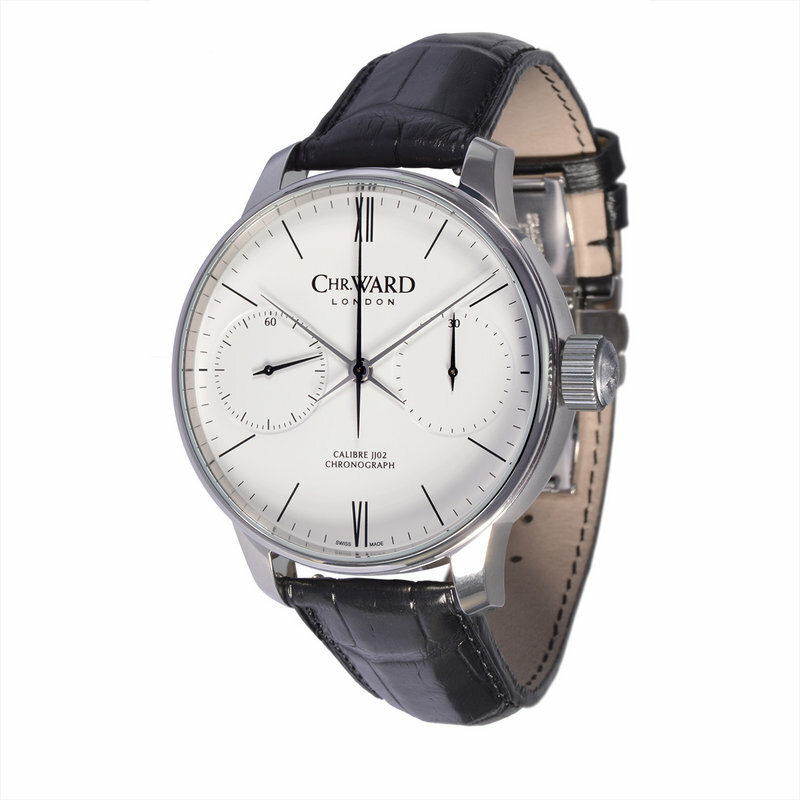 If you need a new watch and want one for under £100 there are plenty around, and Christopher Ward doesn't make them. Their watches, they told me, used quality components and movements and because there were no middle people they'd sell for around a third, maybe a smaller fraction, of the price charged by the competition. And now we're into £2450. The reasons are as follows - a spokeswoman explained to LifeOver35 that the single 'pusher' to set the stopwatch etc. 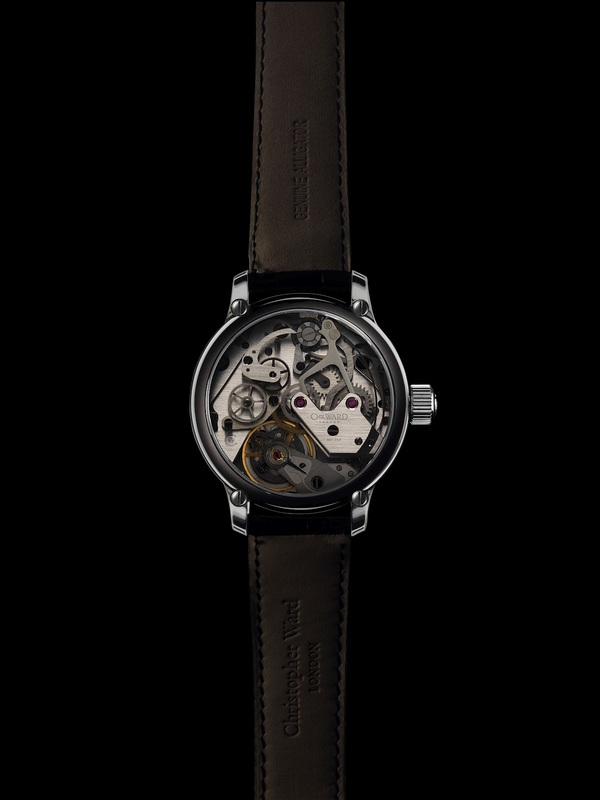 is costly and that the watches are hand assembled from start to finish in Switzerland. Johannes Jahnke in CW's Swiss atelier (French for 'workshop' and don't let anyone tell you it's anything posher) builds the watch around the Unitas 6497 calibre. The single pusher is unusual and makes the watch look a great deal less ungainly than most chronographs on the market. 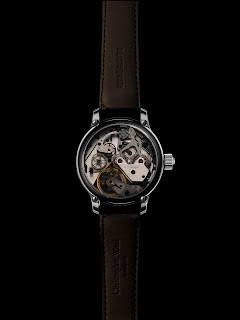 The spokeswoman confirmed that this is the most expensive watch the company makes, and indeed a glance at the website confirms this; however, to get this much accuracy and indeed visibility (the window on the back, pictured left, gives you a really full view of a movement designed to show off the moving parts. Click on it for a larger view, it's gorgeous. I have no reason to doubt Christopher Ward as a company. I've met them, they're nice guys, and no they haven't bribed me by sending me one of these (I do own a C5 automatic from a press launch a few years back). If they say the price reflects the cost and therefore the quality of the new watch I'm sure that's true. I just think that if I had £2450 to spend on a watch there's a good chance I'd go for something from Omega, Tissot or one of the bigger names instead. Christopher Ward of London is taking orders from August for mid-October delivery. Tune into the BBC this evening or in the very near future and you're going to find the trailers for the new season of Doctor Who starting up. This is of course a cultural milestone (and yes I'll write something about the Olympics soon) and leads to a major, major style question: Are bow ties cool? You can click on the picture for a larger image. This is actually not a straightforward question. There are a few things the good Doctor does that aren't actually all that cool but he and actor Matt Smith get away with them. Take bow ties anywhere other than somewhere formal. He, and predecessors Patrick Troughton and Jon Pertwee, got away with these spectacularly (in the sixties you'd have seen more of them anyway, when Troughton was in the role). By now, wearing them without a tuxedo you tend to have to be pretty damned young to get away with them and have them "ironically". 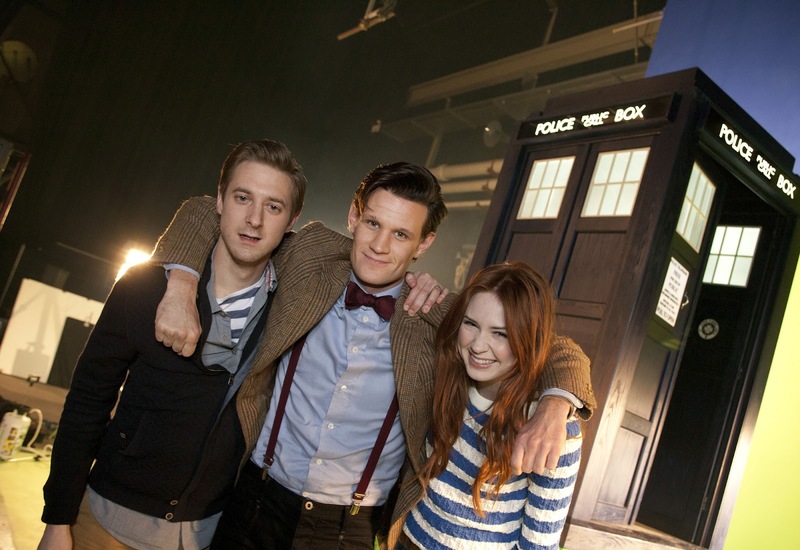 Or you're playing a 900-year-old Time Lord. Conversely, my continuing inability to tie a bow tie is most certainly not cool. I told you it wasn't straightforward. This isn't all Smith does that won't work elsewhere, though. Take braces. As you'll see from the pic, he wears them and he wears them well. You need an ironing board flat stomach to get away with those or they start looking like a contour map of your gut. I like Harris Tweed jackets. My wife doesn't. What I do know is that they have to be carefully cut - it's appallingly easy to end up looking a bit charity shop and a bit pretending-to-dress-middle-aged-without-realising-you're-actually-pretty-old. In fact I'd say anyone who, like me, woke up in January 2010 and found themselves old enough to be Doctor Who's dad should probably steer clear unless the cut is seriously flattering. I've been testing the new Philips Citi Scape headphones and I have to say they're pretty good. My thanks to the PR company for sending them along. They are a lot like many headphones I've tested in that they have a decent bit of foam on them to cushion against the ear. This has two effects. First it seals a bit of the sound in and a lot of the extraneous noise out. Second, because it's memory foam, the experience actually improves as you wear them more often (or as in my case, the more they're used the more daughter's-head-shaped they actually become). The foam is breathable so you shouldn't break out into a sweat too quickly whilst using them. You can take calls as there's a built in microphone. Yes, I'd like a bit more oomph in the bass and a bit more on the treble, but then if you shop around you can get these for forty quid or so. If I want something that sounds as if it costs hundreds there's clearly an easy answer. For something within a much more comfortable budget, and which can be worn for a fair while, these are pretty good. Declaration: Sample headphones supplied by the PR company, link above goes through to Amazon and is an affiliate link - costs the buyer no extra but this blog gets a commission.